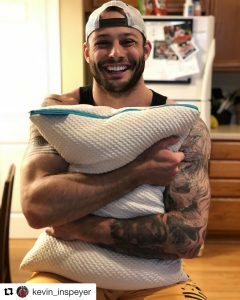 In our final blog post about finding the best pillows in the world for you we are going to address in summary What Pillow is Best for You? How do you choose the best pillow for your sleep and body type? Ultimately we don’t think anyone can tell you this or that pillow is best for you. We have said it before, “You are not a one size fits all” type person. You are unique. There is not way you are exactly like the other 7 billion people on the planet. So you have to decide what is best for you. Pillow size – What will sleep best for your body and sleep style? Not necessarily what looks good on your mattress. Pillow Loft – What height and feel are you aiming for to give you perfect spinal alignment for your sleep style and body type? Consider a pillow that allows you to customize exactly what you need after you purchase it. It may take 2-3 nights to get it exactly right. Natural Materials – You will find many, I say many, pillows with this foam or that foam, gel, smell this or poly that, but we have to bring to light you will lay your head on this mysterious pillow and breathe in those materials for 6-8 hours a day; 1/3 of your life will be spent breathing in chemicals. Always, always consider all natural materials. What pillow is best for you? Consider Everpillow by Infinitemoon. It may be the only pillow that meets all these criteria and gives you the full ability to make your pillow exactly how you want. Infinitely Customizable and Ridiculously Comfortable. We are the pillow of your dreams. Which is best for neck and shoulder pain Latex or blend? Laura, Great question. We do recommend the blend. Has the support of latex but softens up with the Kapok and takes some of the bouncey bounce out of the 100% latex. The most popular is the Blend.